Looking for a Used Gallardo in your area? CarGurus has 256 nationwide Gallardo listings starting at $73,999. The Gallardo’s drive is coming to an end, but before it bows Lamborghini wants to give it one last shot of adrenaline—or at least some makeup to cover the wrinkles. Here it comes in the form of a slight aesthetic massage that adds more angles and trapezoids to front and back, as well as a round of fresh complaints from the peanut gallery. Of course, anyone who complains about angles on a Lamborghini simply hasn’t been paying attention during the last few… eh… decades. The days of the Muira are 40 years gone, and nary of curve has been seen since. Perhaps as a result, most of the coverage of this update has glossed over the best part: new 19-inch aluminum wheels in matte black with polished spokes. It’s the most attractive change Lambo has made, with an appropriate nod to yesteryear. For 2013 you get a choice, as this styling “update” gets applied only to all-wheel-drive (AWD) Gallardos—rear-wheel-drive (RWD) versions stay the same as last year, strangely. The drivetrain stays the same as well, with a direct-injected, 5.2-liter, mid-mounted V10 offering between 550 and 570 hp, depending on application. The secret to that sauce can be found in the flood of numbers that follow each Gallardo trim: the LP 550-2 gets you 550 hp and RWD, while in the LP 570-4… you get the idea. But don’t forget the 397 lb-ft of torque that’s also on tap, available at 6,500 rpm as opposed to peak hp’s 8,000-rpm line. If you choose the 6-speed, 3-pedal manual (and you’d better grab it now, as the Gallardo’s replacement won’t offer one), you’ll see a return at the pump of 12 mpg city/20 highway, and if you go with the 6-speed automated manual, you’ll pick up 1 more mpg around town. Either way, you’ll get to 60 mph in around 3.5 seconds. That means you’ve got 6 options for your particular flavor of Gallardo: RWD in coupe and convertible, AWD in same (with 560 hp) and the manic 570-hp versions titled the LP 570-4 Superleggera and LP 570-4 Spyder Performante. For further flair, Lambo has made available a Style Package that will toss some gloss black paint on the underside of the front spoiler as well as the front and rear grilles and rear trim. Snazzy. And for those who go all-out in their supercars, the Superleggera and Spyder Performante are now available with the Edizione Tecnica option, which adds a fixed rear wing and carbon ceramic brakes, as well as some funky unique color options. Lamborghini is betting these changes will be enough to incite some extra interest in its “Baby Bull” before the company finally puts it out to pasture, but perhaps it's waving the wrong color cape? Methinks a bit of purposeful propaganda centering around the dwindling opportunity to operate your own clutch pedal might make for healthier headlines. But then, maybe no one cares anymore. Regardless, the Gallardo is almost gone. Time to pony up or watch the opportunity scream past. What's your take on the 2013 Lamborghini Gallardo? 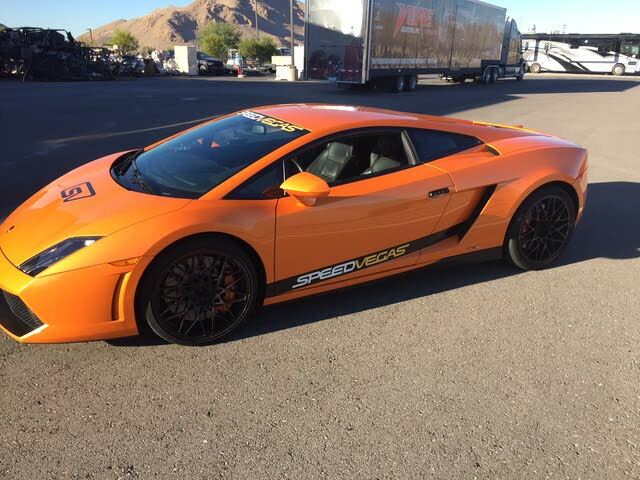 Have you driven a 2013 Lamborghini Gallardo? Can I Get Body Panels For A Lamborgini? Car crunched on right side.